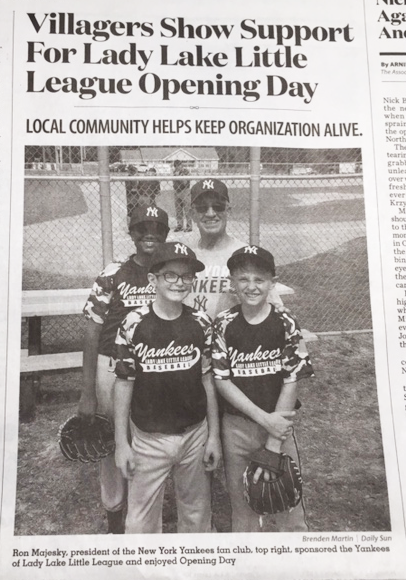 The Daily Sun ran a feature article on the Lady Lake Little League and it printed the above photo of Secretary Ron Majesky (wrongly identified as club president) with some of the Yankees team players. Their schedule is posted below. If you can, attend a game or two. 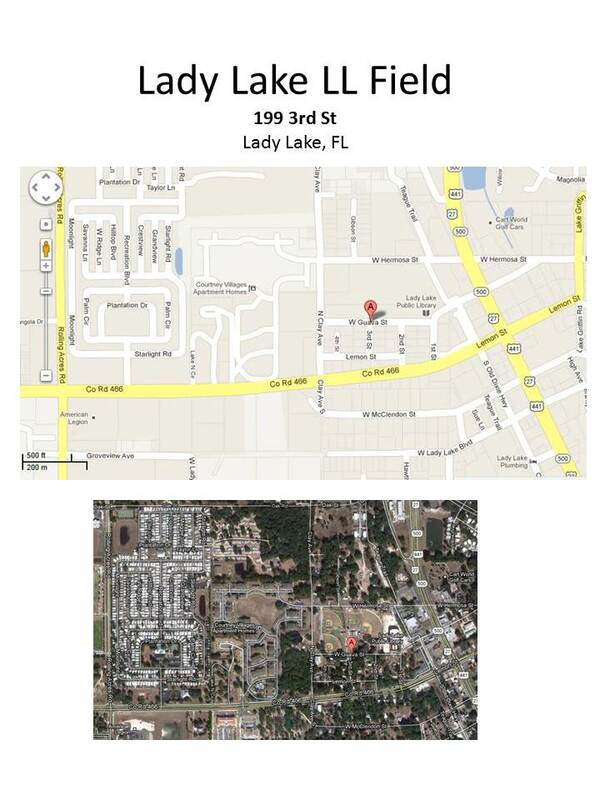 A map to their home field is below.